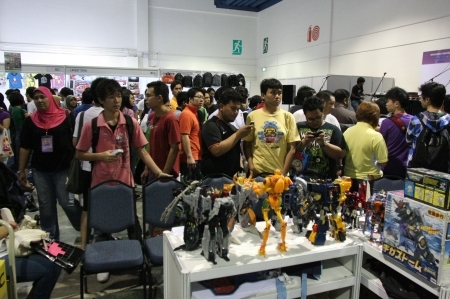 Malaysian International Toy Fair 2010 is an initiative of Malaysia Toy Fair. TransMY was a sponsored guest in the event and a small plot was allocated for us. Our attendance is just to spice up the event with our showcases and tutorial slot for kitbash. 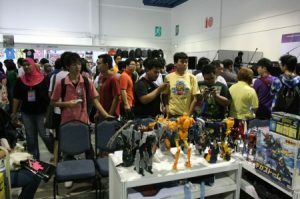 Among other collector’s club invited is Macross Malaysia. Day 1 – Earlier the night before, TransMYians Kosmonaut and Wan De Real has been scouting the area to to see how the space looked like so that they could decide how the layout plan would be for the next day. Most members were there as early as 9am but they were not permitted into the premise yet. Maybe the organisers had last minute work to carry out. Upon entering, the first thing that our team was shocked that no tables were provided. We summoned the organiser and requested for tables. The contractor who does not know ‘us’ wanted to charge us, and we have to go to the extents of explaining that we were ‘guests’ (TransMYians know what I mean, as I can’t reveal much here) there. After the organiser intervened, we were allowed to acquire the tables and start work. 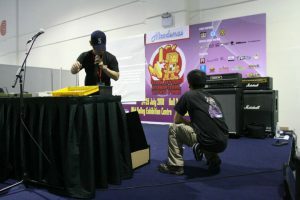 Besides using the provided tables, our team member had backup tables that was for extra uses – the Mamak styled tables! Like experts they were quick to assign the layout and setup and voila, in about nearly an hour the booth was complete. During the preparations, visitors have already thronged the place and snapping pictures. Initial worries about not having enough toys almost discourage us, but hey, we ended up having more that enough toys that many were still unboxed and remain untouched under the table. Lack of security was a main concern as we do not have any barricading mechanism with us. Kosmonaut ended up using extra chairs to barricade the perimeter. We stretched the distance from the displays creating a 3.5 feet buffer zone where naughty hands can’t reach the display (the would, if they had the will however). The flow of crowd was steady and gradually peaked around past noon. When Bunkface took the stage around noon, the crowd go haywire abit as our booth was so near to the centre stage podium that congregating crowd spilled to our perimeter. No untoward incident happening anyway. However, were slightly taken aback by the lack of cooperation showed by parents with kids. They simply let their children loose by charging past our barricade and touch, kick and wanting to grab the toys on the wobbly table. Our members who were ‘guarding’ outside the perimeter have to act like goalkeepers to grab falling figures. Around 5 of these incidents (all similar) happened throughout the day. Parents, please supervise your kids for yours and our safety. Broken toys are equivalent to our (collector’s) broken heart!. You cannot mend those! The team were steadfast in rotating shifts of members taking meal break and prayers. Not only that the members done a good deal of being good informers and educationalist in the Transformers fandom to curious visitors, but they made good promoters too. We were approached by people of many age divide that ask us all sort of questions of whether we are willing to sell our piece or not, can they join our future events or not, can they request our customizer to build (any of) their favorite characters or not, and lame questions such as ‘why arent’t we selling when everybody does’? 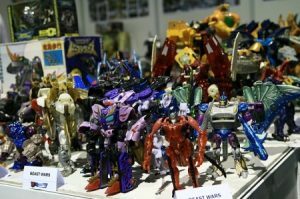 We kept our answer short and sweet by telling them we are a bunch of enthusiast who banded together as a non-profit group who shared the same interest and acumency in Transformers, that’s all. 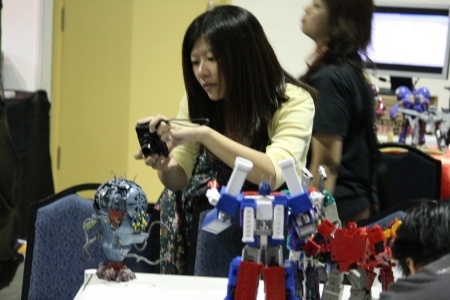 We were impressed by the ladies who took pictures of macho robots at our booths. Transformers was very promising among the guys and surprisingly appealing to the girls as well. 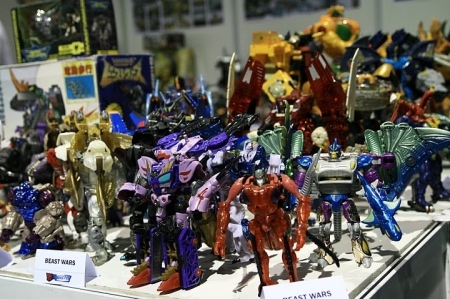 From the pattern that we observed, they had tendencies to like beastie type of Transformers in this case the Beast Wars. 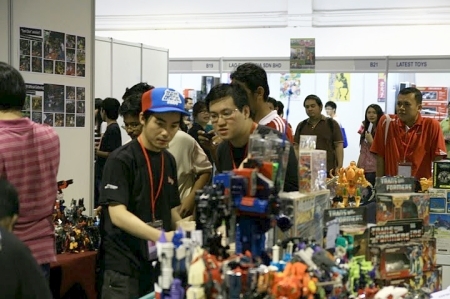 Some girls mistook us as Gundam booths which we are not. At least they were mecha and related to the same ‘industry’. Our slot soon arrive around 5pm when Wan de Real took the mic like an expert beatboxer on the turntable. He was nervous at the beginning but when the attentive crowd got wowed by his slideshows, Wan de Real who was the guru in this became very much inspired and continued his customising tutorial. It was very impressive of how the amount of jargons and tech words being sprinkled all along his lectures. Nonetheless, Wan De Real’s tutorial rocked that the MC asked him few more questions. Our booth is a hit! The only thing we were disappointed that Wan De Real’s tutorial are not being slotted during peak hours like past noon when thronging crowds are still in the masses. It would definitely draw more attention as his tutorials are fresh and favorable to the young and tech-concious mecha loving youngsters. Still, visitors took their time after Wan’s introduction by swaying by to our booth to have a quick peek on Wan’s awesome masterpieces. As for the atmosphere in the fair, it was pretty mediocre. 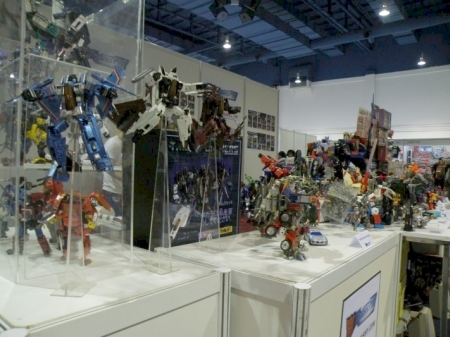 Other than that, the activities in the toy fair are nothing new and fresh to wow about. It was just like a day bazaar. The booths are populated by majority gaming businesses and not toy business. 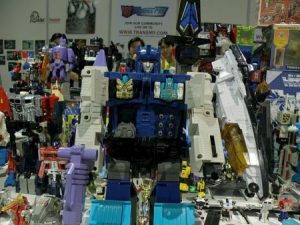 Big guns like Hasbro, Mattel and Lit Tak are no where to be seen. Perhaps, they had better explanation on this. Anyhow, I think they should address this seriously in the next run to make this event really ‘toy’ oriented. For us, this is still excusable as MITF was the first, and anything inaugural and debut are prone for many mistakes. 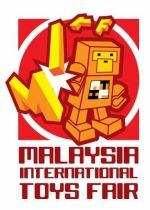 We are not in the position to heavily criticise as they had given fandom groups like TransMY and Macross Malaysia and other businesses plenty of exposure. However, there are plenty of room for improvements in the future if MITF (via Nicodemus Management Enterprise) wishes to take this to a height of truly ‘international’. 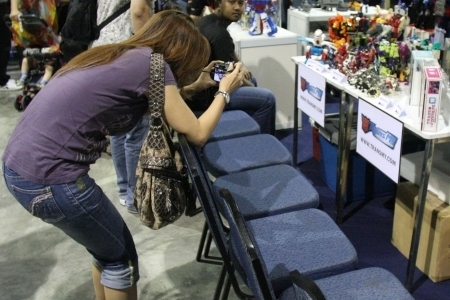 Despite receiving several barrages of ‘attack’ and criticism out there from bloggers and punters (hey, TransMY is not included), TransMY will still give MITF a thumbs up for the good effort and initiative taken to deliver something new and fresh to the toy collecting community where toy collecting is still being seen as immature and childish for adults to get into. Thanks for at least helping us to squash the shallow-minded stereotyping that exists in the so-called ‘matured minds’ of typical Malaysians. Bravo to that. 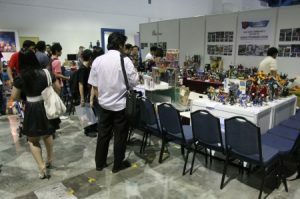 As for the team, kitbash and customs provided by our members and exhibits are truly an eye opener to the public. Though it was tiring, the team managed to steer clear throughout the day and enjoyed each other’s company, mingling with new and old ones, and of course pitching for the potential ones to join us. Congrats to the team for the commendable hard work. Day 2 kick started briefly after the doors were open for public. As for TransMYians, they need to unload the stuff back to the tables again. As we addressed this issue in our previous post, we dare not take any risk by leaving our stuff out in the open. Not to sound biased or judgemental, we have seen what real security is like in Queensbay Mall during the Revenge of The Fallen Transformers Expo that we were involved in last year. The real security that we are talking about revolves around these – acrylic cases, barricades with 5 feet buffer, stacked display tables and 24 hours security offered by security guards! In comparison, that is really huge difference. Still, this is not our show, so there is not much to moan about. The plan for the day is the total layout revamp. Instead of putting all the good bits way behind by the dividing wall with our neighbour’s outlets, the team planned that an isle of display is to be devised where few tables to be combined to provide length and space for display. The surface will be covered by a cloth and the MISB boxes is to be stacked on top of one another. 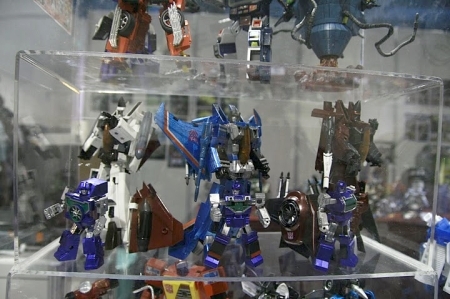 The toys, like yesterday will be grouped based on their toyline series. The team emphasised on promoting G1 further by putting on G1 cartoon via the laptop surrounded by vintage G1 toys to suit the mood! That worked pretty well when onlookers walked pass and stopped by to watch the cartoons while trying to relate the characters to the toys laid out on the table. As for the atmosphere, the mood was pretty much the same with cosplayers and pretty promoters are loitering around while shutterbugs took the opportunity to shoot them and made a portfolio out of them. 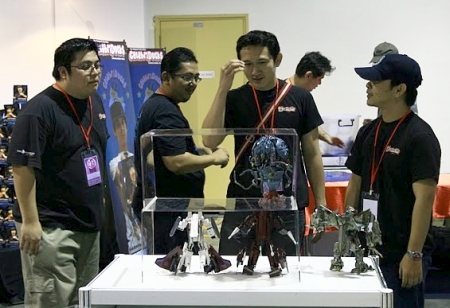 Our booth received 3 media coverages from a well known television station interviewing co-founder, Mike ‘Monkticon’ Wong and newspaper journos interviewing Wan De Real regarding his custom works. 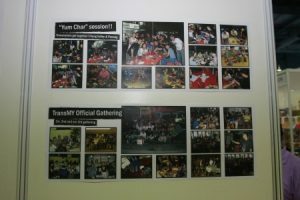 All these publicity will be added to our publicity archive once those paper cutting and videos were acquired. This is one added boost to the community again though we were pretty surprised that the media who were there at the fair come and seek us out where we are pretty much small players in comparison with those businesses there. From the feedback we received from the ground and blogs, TransMY’s booth are great fillers to MITF. As for the team, we pretty much nail it though some minor setbacks hampered our affords at the beginning. As the closing approaches, members packed up and taking group pictures together. Though that is not a complete one with some members have to leave earlier for other commitments, the team were astounded by their unexpected performance throughout the 2 day event. From the founders of TransMY (Admin Pirme & Monkticon), we wish to take this opportunity to thank all the members who were involved either directly or indirectly in making this a success. A shoutout goes to Kosmonaut, Wan de Real, Sparty, Prime85, Obi Wan Kedah, Einsamsoldat, G-Go, TFBoy, sy8nsk8, Chromia, Airpool, Zahari, & zeck.